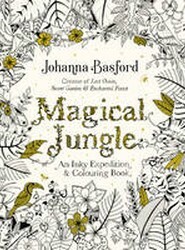 An illustrated fable about a girl named Ivy who stumbles upon a secret door leading to the magical world of Enchantia. Ivy embarks on a quest through its many realms in pursuit of her inky butterfly, meeting whimsical characters and discovering many wondrous things along the way. A colouring book, in which delicate tangles of holly and ivy, bauble-laden Christmas trees and mountains of exquisitely wrapped gifts are all waiting to be brought to life. From flurries of delicate snowflakes to deliciously decorated gingerbread houses and reindeer-led sleighs, it is a celebration of this holiday season. 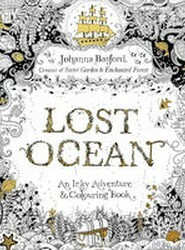 A colouring book that takes you on a magical journey beneath the waves, from the creator of the worldwide bestsellers, Secret Garden and Enchanted Forest. It also features a large double-sided pull-out poster to colour and keep. London is a city full of colour and contradiction. Its myriad of maze-like streets can transport you to tranquil green spaces or bustling markets and the lively sounds of people coming and going. This book helps you collect, document and draw your observations of the city. 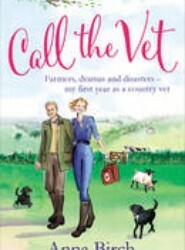 When fresh-faced, newly qualified vet Anna arrives in the seemingly sleepy Dorset village of Ebbourne, little does she know that this tiny rural community is about to change her life. Straight in at the deep end, Anna faces two tricky calvings, an emergency call-out to a frightened mare, lots of mad cats and one enormous dog with an injured leg. Explores many of the human and animal health issues that overlap and provides insight into the treatment of many diseases including diabetes, cancer, heart disease and mental illness. 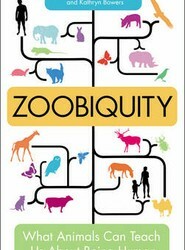 This title focuses on the evolution of hierarchies and similarities between a tribe of apes and a Fortune 500 company.